The location of things market is expected to witness a significant growth in the next few years. The rising penetration of Internet of Things is one of the major factors estimated to accelerate the growth of the overall market in the next few years. The rising used of location-based applications across diverse industries is projected to enhance the growth of the market in the coming years. A significant rise in the use of cloud-based technology is another major factor expected to generate promising growth opportunities for the market players in the next few years. The rising importance of geospatial data and the commercialization of location-based services are considered as key opportunities for the market players in the global location of things market. On the flip side, several issues related to the privacy of user identity is likely to curtail the growth of the location of things market in the next few years. In addition to this, the rising security concerns is another major factor expected to restrict the growth of the market in the near future. Nonetheless, the increasing use of Internet of Things and the growing demand for cloud-based technology are estimated to boost the demand for location of things in the next few years. 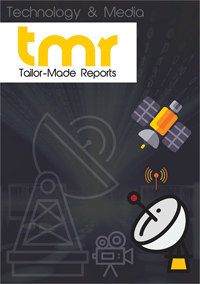 The leading players in the global location of things market are focusing on the development of new products and innovations are estimated to accelerate the growth of the global location of things market in the next few years. The competition in the global market is projected to rise significantly thanks to the increasing number of players expected to enter the global market in the coming few years. Some of the key players operating in the location of things market across the globe are Tibco Software, Inc., Pitney Bowes, Qualcomm Technologies, Inc., Google, Inc., Wireless Logic, Bosch Software Innovations GMBH, ESRI, Microsoft Corporation, Ubisense Group PLC., and IBM Corporation. In today’s hyper connected world where the internet has become ubiquitous, there is a mind boggling amount of data generated every minute. To distil relevant bits filters are required. Location is one such filter that can be applied. Location data is swiftly proving to be another data point for input into data analysis. They can be useful in optimizing routes, providing feedback on when a machine is down, lessening theft and loss of assets through reliable tracking and alerts, promoting customer engagement and loyalty by sending push messages on their smartphones when they are in the vicinity, etc. On account of so many location-based applications, location of things market is expanding at a cracking pace. Rising importance of spatial data and democratization of geospatial data for IoT applications are also boosting the global location of things market. Given its potential to revolutionize the functioning of different organizations in the same way data analytics has done, the potential in the location of things market is massive and avenues of growth a dime a dozen. Location of things is already finding a host of applications ranging from mapping and navigation, IoT asset management, location based customer engagement and advertising platform, and IoT location intelligence to location based social media monitoring. Among them, the segment of mapping and navigation contributes the most to the location of things market. Mapping and navigation technology is used to examine the data or the image generated. The different end use segments of location of things technology are governments and public utilities, retail, defense, healthcare, transportation and logistics, banking, finance, and insurance, and media and entertainment, among others. Of them, the retail sector holds out maximum promise for growth for incumbent and new players on account of the growing practice of integrating location-based technology with retail and e-commerce to improve product distribution, enhance cross-sell and up-sell opportunities, bring down operational costs and better engage with customers. Geographically, the key segments of the global location of things market are North America, Asia Pacific, Europe, and the Rest of the World. North America, among them, is a dominant market on account of the presence of a copious number of tech savvy entities and massive technological progress and a subsequent solid internet infrastructure. Most importantly, however, the region is home to a large number of domestic solution providers who have pushed up growth in the region. Prominent names competing in the global market for location of things are Bosch Software Innovations GMBH, ESRI, Qualcomm Technologies, Inc., Wireless Logic, Ubisense Group PLC., Google, Inc., IBM Corporation, Microsoft Corporation, Pitney Bowes, and Tibco Software, Inc. The market is characterized by stiff competition and in order to retain their competitive edge, bigger players are constantly on the lookout for opportunities to acquire promising startups.